Easiest way to learn and play banjo! 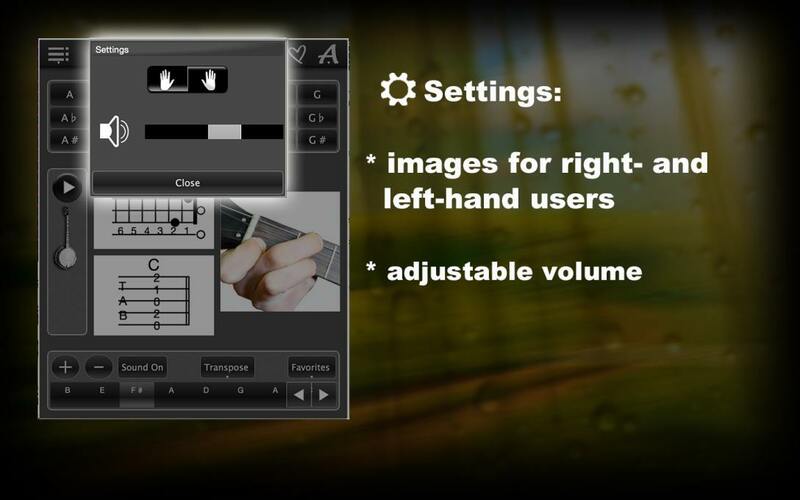 Banjo chords Lite is a gratis app for Banjo. 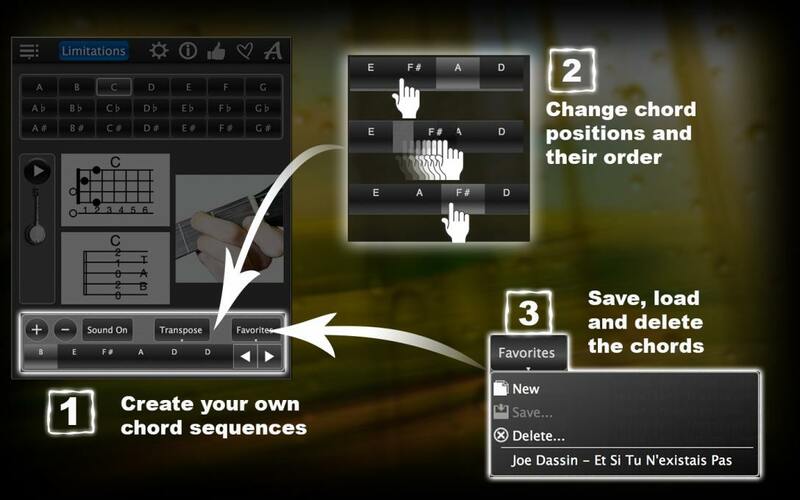 This app helps you to learn finger positions on the banjo fingerboard. 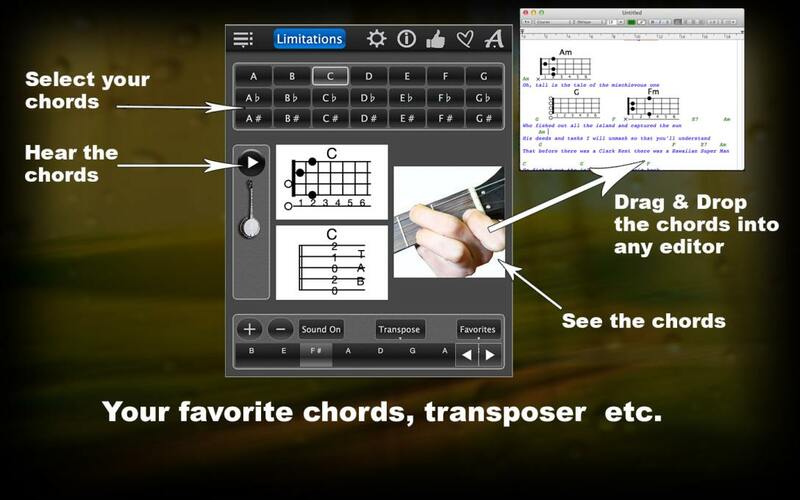 All of the most important major chords are there to help you in this free edition available! (THE full version of 120 Banjo Chords provides you with both major and minor chords). If you search for beginners’ banjo-app or your own Banjo Music composer, Here are your right app! 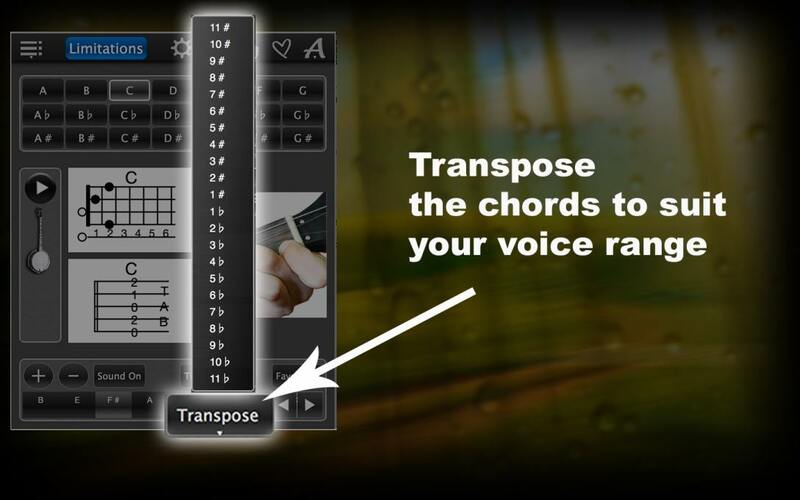 The sequence of the chords in your Banjo chords can be changed anytime and full chord progressions can be transposed if you want to customize your voice.